Clients hire lawyers. One of the greatest challenges for law firm lawyers is to find ways to meet and build relationships with current and prospective clients so that they can be the lawyers hired by those clients. For lawyers of color and women lawyers, the challenge can be compounded if they do not receive appropriate mentoring, access to institutional clients, and their practices are not cross-marketed by other lawyers in their firm. 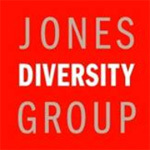 The Institute for Inclusion in the Legal Profession (“IILP”) is partnering with Jones Diversity Group to offer one of its signature training sessions, “Rules of the Game 2.0” as a business-relationship-building program for law firms and their lawyers of color and women lawyers. What is Rules of the Game 2.0? Rules of the Game 2.0 is a day-long training session that teaches lawyers the unwritten rules for professional development and career strategy skills that all too often no one shares with lawyers of color or women lawyers. Geared primarily for high-potential lawyers in large law firms and corporations, the program is lead by Sharon E. Jones, a member of IILP’s Board and one of the nation’s foremost diversity and inclusion consultants and a lawyer with extensive experience both as a partner in a large law firm and as a corporate in-house counsel responsible for selecting outside counsel. Rules of the Game 2.0 teaches participants to understand and apply the strategies necessary for career advancement and success. Click here for a descriptive brochure about a previous presentation of the program. Rules of the Game 2.0 is more than just inspirational; participants leave with their own personalized game plan for their career success. Rules of the Game 2.0 is practical and grounded in real world situations and experiences; this program goes beyond theory and delves into the nitty-gritty of practicing law in a large law firm or corporate law department. How is Rules of the Game 2.0 structured? The structure of the program is designed to be interactive. It fosters interaction among the participants and provides the groundwork that allows participants to build meaningful personal relationships with the other attendees. What sorts of things do participants learn during the program? Participants learn how to understand and function within “the system,” recognizing and translating unspoken signals about their career progress and development. They learn to create their own business plan for career success. The program lasts one day and typically concludes with a reception. How many lawyers can participate in a session? Up to 100 lawyers can participate in a session. What are the responsibilities assigned to an law firm that is partnering with the IILP to present Rules of the Game 2.0 as a business development effort? Secure CLE credit (if required by your state). Is there a cost for presenting the program? Costs vary according to location and the size of the group. Please contact us at (312) 628-5885 for more information. What are the benefits of presenting the program? Rules of the Game 2.0 is an ideal way to foster an opportunity for lawyers of color and women lawyers in your law firm to build relationships with current and prospective clients through a program that encourages relationship-building, all the while earning CLE credits. What kind of results can we expect from the program? Experience has shown us that the participants in this program seek opportunities to maintain the relationships that start here. We encourage our partners to use this program as a means of making outreach and building the relationships that grow into clients with business.